Clinton v. Sanders: Democrats, Please Do Your Homework! I supported Obama in the last two presidential cycles and I support Sanders now. I have spent weeks pouring over numerous articles, studies, blogs, etc. on my laptop while watching the debates and related coverage on TV. Much of my time has been devoted to carefully comparing the positions and actions of Clinton and Sanders with respect to issues relating to foreign policy, the environment, Wall Street reform, social security, health care, money in politics, violence, racism, etc. Below is a summary of my findings thus far. During this election cycle, voters across the political spectrum are saying two things loud and clear: (1) we’re angry that the political system is rigged in favor of those with wealth and influence, and (2) we don’t trust establishment politicians to fix #1. There’s also a weariness of politicians doing whatever it takes to retain power or line their own pockets, including flip-flopping on issues, pandering, using smear tactics, misrepresentations, fear mongering, and accepting huge sums of money from powerful interest groups to gain a political edge. More voters are yearning for politicians to explain — in easy to understand language — what they believe in and why, and then back it up with actions that demonstrate that they are working on behalf of the wider public. On many important issues, it’s difficult to pin down Clinton’s position, as it tends to “evolve” over time or is sufficiently vague to be interpreted several ways. In contrast, with the exception of domestic gun control, Sanders has been remarkably consistent and clear in his positions over the years. On gun control, some of Sanders’ past votes can only be explained as pandering to his largely rural constituency in Vermont. As a “progressive,” I do not find that to be an acceptable rationale. In contrast Clinton has been more consistent than Sanders on the domestic gun control issue, although she has evolved on whether there should be a national gun registry. In her 2000 Senate campaign, she forcefully advocated for a national gun registry, but during the 2008 Democratic primary, she backed off from that position. If one expands the guns and violence issue beyond U.S borders, Clinton has a very different record. The International Business Times, reported that as Secretary of State, “Clinton not only rubber-stamped major weapons deals with 20 countries that donated to her and her husband’s philanthropic arm, the Clinton Foundation, but she also approved nearly double the amount of arms sales to those same countries as the State Department of George W. Bush’s second term. She approved a $29 billion arms sale to Saudi Arabia, a country which Human Rights Watch criticizes for violently oppressing women. At a press conference announcing the deal, Assistant Secretary of State Andrew Shapiro declared that the deal had been “a top priority” for Clinton personally. The U.S accounts for well over 50 percent of the global arms market, or about five times as much as Russia. The IBT reports that Sanders has never advocated for major weapons deals to Saudi Arabia or any warmongering country. During the current presidential campaign, Hillary says, “that as president, she would aim to make the United States the world’s clean energy superpower.” Her campaign website provides a number of somewhat vague pledges. There is no mention of fracking, nor any mention of a carbon tax or a cap and trade policy for greenhouse gas emissions, although many economists, environmentalists, and business leaders have argued that a carbon tax or a cap and trade policy are essential for a fair, swift, and efficient transition to renewable energy. Hillary is basically espousing the same approach pursued by the Obama administration. As best I can tell from her various positions over time, she has avoided taking a firm position on fracking, except saying recently she would like to ban fracking on public lands with some conditions and she believes “natural gas can play an important bridge role in the transition to a cleaner energy economy.” On both Keystone pipeline and Arctic drilling, Hillary was for it before she was against it. 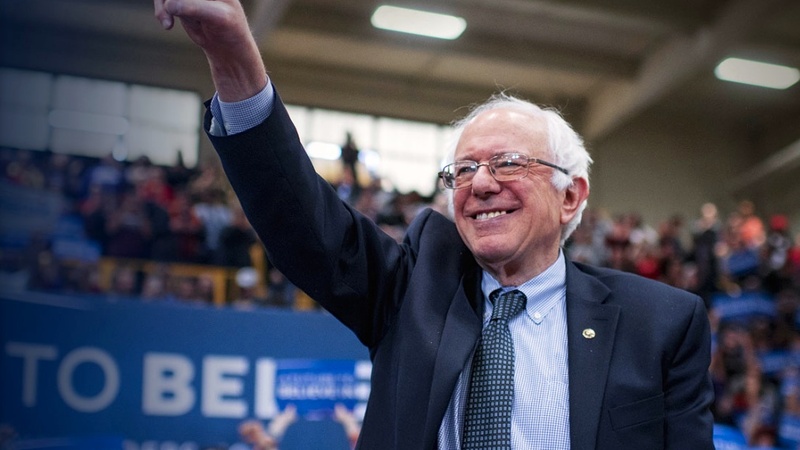 Sanders consistently opposed Keystone and Arctic drilling. He has called for a ban on all fracking, something that several states and nations have already done. Sanders and Senator Boxer introduced carbon tax legislation, and Bernie has sponsored legislation to require fracking companies disclose all chemicals used in fracking and to eliminate fracking’s special exemption from the Clean Water Act (the so-called “Halliburton loophole”). Clinton expressed support for the death penalty when she ran for the Senate in 2000. At a 2015 campaign event in New Hampshire, Clinton was asked whether she supports abolishing the death penalty. According to a New York Times reporter at the event, Clinton answered, “We have a lot of evidence now that the death penalty has been too frequently applied, and too often in a discriminatory way. So I think we have to take a hard look at it.” She went on to say, “I do not favor abolishing it, however, because I do think there are certain egregious cases that still deserve the consideration of the death penalty, but I’d like to see those be very limited and rare, as opposed to what we’ve seen in most states.” In a 2015 speech on the Senate floor, Sanders said, “When we talk about criminal justice reform, I believe it is time for the United States of America to join almost every other Western, industrialized country on earth in saying no to the death penalty.” That has been Sanders’ position for many years. Having any difficulty understanding where Sanders stands on this issue? How about Clinton? Public support for the death penalty has been declining since the mid-90s. Will Clinton “evolve” on this issue? I’m unable to find any pre-2015 public comments from Clinton regarding the “symbol of hate,” including during the period she lived in Arkansas. What I do know is that then Governor Bill Clinton signed a law which designated a portion of the Arkansas flag to commemorate the Confederate States of America. Specifically, “The blue star above the word “ARKANSAS” is to commemorate the Confederate States of America.” Moreover, Arkansas celebrates a “Confederate Flag Day” every year, including the eight years that Bill was Governor. During the 1992 presidential race, the Confederate flag was present on some Clinton/Gore campaign buttons. It is hard to determine whether the buttons were “official” campaign buttons, but I don’t find any public statements from the campaign distancing itself from the buttons. Apparently a Republican Florida Governor was able to “evolve” much sooner than Clinton, and it didn’t take a widely-covered horrific shooting to prompt the evolution. At the very least, Clinton should be pressed to explain why it took a horrific shooting for the Clintons to conclude that the flag is a symbol of racism, and how this obvious departure from years of tacit approval of the flag squares with Clinton’s “long-held values and principles,” which she refers to constantly on the campaign trail. Even long-time Clinton supporter Paul Begala said in an interview last year that Hillary Clinton “absolutely” has to answer for her history with the Confederate flag. Still waiting. The Affordable Care Act was a step forward. The number of uninsured Americans has fallen by an estimated 15-17 million since 2013. Yet, about 40 million Americans still do not have health insurance. Moreover, a recent New York Times//Kaiser Family Foundation poll found that 20 percent of people under age 65 with health insurance reported problems paying their medical bills over the last year. While the ACA required insurance plans to be more comprehensive, it did not reverse the insurance trend that began in the 1990s of requiring that customers pay an increasing share of their bills out of pocket through rising deductibles and co-payments. There are some that believe that the ACA actually encouraged increases in deductibles. The AJPH article points to evidence that U.S. health spending is at a point where further expenditures on per capita medical care could actually produce worse health. As a possible explanation for our nation’s “dismal performance,” the article points to research at Yale that shows, “the United States spends by far the most on a per person basis on medical care while spending nearly the least on a per person basis on nonmedical social service spending such as education, day care, job training, housing support, nutritional assistance, and more. Focusing less on medical care on more on needs relating to the social determinants of health seems to help produce more beneficial population health outcomes than our nation’s prioritization on the reverse. A major reason our health care is so expensive is that Americans pay more for medical products and services than people living in most other countries. Often much more. In January 2014, Washington Post columnist Ezra Klein wrote that an MRI costs, on average, $1,121 in the United States and $363 in France, and that an appendectomy costs $3,676 in the United States and $606 in Canada. A bottle of Nexium – a common acid reflux drug – costs $202 in the United States and $32 in Britain. Klein contends that the reason we pay more is because individual insurance companies don’t have the leverage to negotiate better prices. In contrast, insurance companies in Switzerland don’t negotiate prices with pharmaceutical companies like Pfizer. The Swiss government simply sets its drug prices and lets Pfizer decide whether to sell in Switzerland – or not. In the U.S. payers are fragmented while in other countries they are unified even if they have many insurers. According to Klein, that leaves us with the worst of both approaches: “Prices aren’t set by the market, but they also aren’t set by the government. Consequently, Medicare’s negotiating power is weakened by the threat that drug companies or hospitals will opt to do business only with higher-paying private insurers. We simultaneously miss out on the efficiency of a purely private system and on the savings of a purely public one. What is Bernie’s Single Payer Health Care Plan (Medicare for all)? Bernie has proposed expanding Medicare so that it’s available to all Americans from birth to grave. Through tax revenue (employer payroll taxes and income taxes weighted toward the wealthy), the government would provide all the funding for health care costs (aka single payer) for all Americans. Private health insurers would no longer be needed unless there is demand from wealthier individuals to purchase supplemental coverage for services that wouldn’t and shouldn’t be covered under an expanded Medicare program (e.g., penthouse hospital rooms or cosmetic procedures). Because all Americans would be covered, existing programs like Medicaid and CHIP for the poor and Medicare for seniors and the disabled would no longer be needed. All healthcare services would continue to be provided by the private for-profit and non-profit sectors. Patients can keep their same health care providers or switch to new ones. Every citizen would carry a single Medicare-for-All card which would be used everywhere in the country. Public polls over the years have shown support for single payer. Even after the contentious ACA debate several years ago and the current campaign rhetoric, a recent poll showed nearly 80 percent support among Democrats and about 25 percent support among Republicans. For years, a number of political leaders, including Obama before he became president, and organizations have called for a universal single payer system in the U.S. Three such organizations are the 185,000-member U.S. Nursing Association, the Business Coalition for Single Payer Healthcare, and Physicians for a National Health Program. According to BCSPH, over 60 percent of small business CEOs support single payer, but they find it difficult to get their business associations to support it because they have health care and insurance members or they often sell employee insurance to their members. Below are some of the reasons people have advocated for a universal single payer program. There are various ways to fund such a single payer program. Sanders starts from the premise that in the wealthiest nation in the history of the world, health care should be a human right not a privilege The Sanders plan would fund his program with an employer 6.2% payroll tax (employers currently pay a 1.45 percent payroll tax for Medicare), a 2.2 percent income-based premium on household income over $28,800 (employees currently pay a 1.45 percent payroll tax for Medicare), progressively higher personal marginal tax rates on income over $250,000, taxing capital gains and dividends the same as income from work, limiting tax deductions on households making over $250,000, raise estate taxes on the wealthiest 0.3 percent of Americans who inherit over $3.5 million, and eliminating certain tax breaks. There would be no co-pays or deductibles. All Americans will have access to health care. The Sanders plan includes the entire continuum of health care, including inpatient and outpatient care; preventative to emergency care; primary care to specialty care, including long-term and palliative care; vision, hearing and oral health care; mental health and substance abuse services; as well as prescription medications, medical equipment, supplies, diagnostics and treatments. Patients will be able to choose a health care provider without worrying about whether the health care provider and facility is in-network and will get the care they need without having to read fine print trying to figure out how they can afford out-of-pocket costs. No more fighting with insurance companies when they fail to pay for charges. Without co-payments and deductibles, sick people and their families will no longer have the added stress of worrying how to pay for care. Citizens and businesses will benefit from the freedom and predictability that comes from finally separating health insurance from employment. People would be able to start new businesses, stay home with their children or an ailing parent or leave jobs they don’t like knowing that they would still have health coverage for themselves and their families. Employers could be free to focus on running their business rather than spending time figuring out how to provide health insurance to their employees. For workers and businesses, the annual health care renewal nightmare would be gone. For health care providers, much less time and resources would be needed to obtain authorization and reimbursement for services and products. One payer means one set of forms and one set of procedures for authorizations and payments. Also, under the Sanders plan, there would be no need for providers to collect co-pays and deductibles. Almost immediately, overall healthcare costs will go down. First, the insurance company bureaucracy consumes between 17 percent and 31 percent of health care costs without providing any direct patient care (estimates vary by source). These costs go toward marketing costs, broker commissions, large executive salaries, utilization review (gatekeepers between the doctor and patient), actuarial costs, shareholder profits, costs of administering scores of plans and coverages in the 1,500 U.S. insurance companies, lobbying costs, and campaign contributions. According to the Kaiser Family Foundation, administrative costs for the existing Medicare program are about 2 percent of operating expenses. Therefore, reducing administrative costs alone would lower health care spending between 15 percent and 29 percent. Second, with only the federal government to bargain with, pharmaceuticals, medical device makers, and health care providers will be forced to bring U.S. pricing more in line with prices in other industrialized nations. According to the Sanders’ website, businesses that currently provide health insurance to their employees would have an average net savings of over $9,000 per year per employee. The typical middle class family would save over $5,000 per year in health care costs. Who losses with single payer? Clearly insurance companies and brokers because they are out of the picture. Pharmaceuticals would make lower profits. Health care clinics and hospitals may get paid less on average, but their overhead costs will be lower and the health care providers will have more time to actually provide care to patients. Businesses that don’t currently provide health insurance to their employees will certainly pay more because of the mandatory payroll tax on all employers, but most that offer health care to their employees will pay less. This levels the playing field across all employers like we currently do with Medicare payroll taxes. Where Does Clinton Stand on Single Payer? Defend the Affordable Care Act and build on it to slow growth of out-of-pocket costs. Crack down on rising prescription drug prices and hold drug companies accountable so they get ahead by investing in research, not jacking up costs. That’s it! Just trust. She will defend, crack down, protect, and work. More recently, Clinton and her daughter Chelsea have used mischaracterizations (aka fear-mongering) of the Sanders plan to drum up opposition to his plan and support for Clinton’s non-plan health plan. Clinton has claimed that Sanders’ plan, which relies on states to administer the single payer plan, would turn “over your and my health insurance to governors,” This argument has two layers of absurdity, First, it’s not true. If a governor chose not to participate, coverage would be provided by the feds. Second, it’s actually the Clinton-backed status quo under the ACA that is allowing governors to pick and choose who to cover. In recent debates and interviews she has gone back to the politically unfeasible argument and added the always favorite Republican scare tactic about raising taxes on the middle class. While technically true, it’s more than a bit disingenuous not to mention that certain current costs would go away, especially when it appears that many middle class families could end up with more money in their pockets. Chelsea was out telling crowds in Iowa that the Sanders plan would take away Medicare coverage for old folks and Medicaid coverage for poor families. Yes, technically, those separate programs to go away, but what part of “Medicare for all” is hard to understand? Clinton’s latest attacks are that Sanders doesn’t show us his plan and the “the numbers don’t add up.” This second line of attack seems to contradict the first. If there was no Sanders plan, how are they determining that the numbers don’t add up? He does have a very serious and detailed plan, and he is even authored legislation for single payer on several occasions. It’s much more detailed and serious than Clinton’s defend-crack down-protect-work babble that she’s proposed. The Cintons have never offered a substantive policy argument against single payer. It’s pretty widely acknowledged that single payer like Sanders proposes would lower overall health care spending and cover everyone. In fact, Clinton herself seemed to advocate for it behind closed doors and before many millions of dollars started pouring in from the drug and insurance companies. Since they can’t debate single payer on its merits, the Clintons (all three of them) have resorted to fear mongering, mischaracterizations, half-truths and deception. Perhaps some of the numbers in the Sanders plan are too optimistic, but then let’s have an honest discussion about they need to be tweaked so that we provide truly universal coverage at less cost. Also, perhaps single payer would be more politically feasible if our politicians didn’t take money from the powerful interests opposed to it and so-called liberals like Clinton stopped using fear mongering and mischaracterization tactics. We already get enough of that from the Republicans. At a October 2015 New Hampshire event, Clinton did not categorically rule out Social Security benefit cuts or raising the retirement age, and she declined to endorse an across-the-board expansion of benefits. Clinton said, “If there were a way to raise the retirement age that would not penalize or punish laborers and factory workers and long distance truck drivers and people who really are ready for retirement at a much earlier age, I would consider it. But I have yet to find any recommendation that I would think would be suitable.” She went on to state, “I would look at raising the [payroll tax] cap,” but she did not endorse it saying she did not want to increase the tax burden on middle class families. At her campaign website, Clinton provides little more clarity regarding her position on Social Security other than to say she will fight off Republican attacks and ask the “highest-income Americans to pay more.” That’s it! Fight and ask. In January 2016, Hillary promised–via a tweet–not to cut social security benefits. At a recent nationally televised town hall, Clinton seemed to rule out raising the retirement age, although she also seemed to suggest that it could be a possibility for certain workers with longer life expectancy. Bernie introduced legislation in early 2015 “to lift the cap so that everyone who makes over $250,000 pays the same percentage of their income into Social Security as the middle class and working families.” The Sanders’ website claims that the Sanders’ Social Security Expansion Act would extend the solvency of Social Security for the next 50 years and increase Social Security benefits by about $65 a month for most recipients. Sanders has consistently stated that he would not cut Social Security benefits nor raise the retirement age. In January of this year, The New York Times endorsed expanding Social Security benefits. Progressive groups became encouraged that the tide seems to have shifted away from cutting benefits to expanding benefits. On an issue that affects all Americans, is it too much to ask that Clinton be more specific and consistent regarding Social Security? What changed between October 2015 and January 2016 to cause Hillary to reconsider taking a firm stand on benefit cuts? If you are a nurse, fast food worker, salesman, short distance truck driver, hair stylist, postal worker, teacher, etc., how confident are you that you would be exempt from an increase in the retirement age under a plan that Hillary is open to “considering”? Is it possible that union/corporate support and campaign donations could influence Clinton’s worker exemption criteria? If you are like my mother and millions of other seniors who rely on Social Security for food and shelter, which Democrat candidate do you want representing you in budget negotiations with Republicans? Exhibit A for many voters’ anger and distrust of establishment politicians is the financial crisis and Great Recession, which led to millions of foreclosed homes, lost jobs, and shrinking retirement funds. Minority communities and low and middle income families were especially hard hit. Taxpayer funds helped rescue Wall Street firms and may have prevented the crisis from getting even worse. Factors contributing to the financial crisis, include greed, fraud, deregulation, and lax regulatory oversight. Despite evidence that Wall Street greed and fraud contributed to the crisis, no Wall Street executives have served prison time because the Obama Administration decided not to pursue criminal charges. For many of us, not holding top executives personally accountable for criminal actions is a terrible signal to send to big banks and a disgraceful example of inequities in our justice system, particularly at a time when many people are locked up for such things as possessing marijuana. After the Great Depression, President Roosevelt signed the Glass-Steagall Act, which introduced banking reforms designed to prevent consolidation of commercial banks, investment banks, mortgage lenders, securities traders, and insurance companies. The Act also imposed regulation on speculative trading by banks. In 1999, President Clinton signed a law that repealed the Glass-Steagall Act. Wall Street banks were thrilled and went on a merger binge with investment banks, insurance companies, and mortgage lenders. Following the financial crisis, President Obama signed the 2010 Dodd-Frank financial reform law. Proponents believe it creates the necessary safeguards to prevent another large-scale financial crisis. Skeptics argue it helps some, but does not go nearly far enough and suspect it was watered down due to pressure from Wall Street. The big U.S. banks are now five times as large relative to the size of the U.S. economy as the biggest banks were in the 1980s. What are the two Democratic candidates saying about Wall Street? Sanders consistently makes Wall Street and the influence of money in politics major themes in his campaign. Sanders was one of only 57 members of the House that voted against the bill that repealed Glass Steagall. Sanders voted for the Dodd-Frank Bill, but argues in favor of going further and breaking up the big banks under the slogan: “If a bank is too big to fail, it’s too big to exist.” Bernie has pledged to break up the too-big-to-fail banks within one year of becoming President, and he advocates for reinstating the Glass-Steagall Act. In response to Sanders’ insistence that Clinton explain to voters why they shouldn’t be concerned about her ties to Wall Street, Clinton essentially dismisses/dodges the issue by saying that Bernie “is just a single-issue candidate.” The Clintons have received many millions of dollars from Wall Street in the forms of donations and speaking fees. Many of Clinton’s closest aides held high positions on Wall Street. In a February 2016 piece for billmoyers.com titled “Elizabeth Warren Recalls a Time When Big Donors May Have Changed Hillary’s Vote,” John Light describes a 2004 interview with Bill Moyers where Warren strongly implied that donations from Wall Street influenced then Senator Clinton’s decision to vote for legislation to tighten bankruptcy laws. Wall Street pushed hard for this legislation. Warren feared it would hurt single mothers the most. Clinton was not a U.S. Senator when Glass-Steagall was repealed and Dodd-Frank was passed. Her campaign website says she will fight off Republican attempts to weaken Dodd-Frank and it contains a lot of vague, tough talk, but it does not call for breaking up the big banks or reinstating Glass-Steagall. In a recent interview, Minneapolis Federal Reserve Bank President Neel Kashkari tells NPR’s Steve Inskeep that despite changes to Wall Street made as part of the Dodd-Frank law, big banks are too big to fail. “If there were another crisis and banks ran into trouble, I’m afraid that taxpayers would have to step in again and bail out these banks. So we have not solved that problem, and we need to.” He then compares these big banks to nuclear reactors saying, “If a nuclear reactor melts down, it’s truly devastating for society. Given that cost, governments will do whatever they have to try to stabilize the reactor before it melts down. These stark warnings come from a man who worked on Wall Street and the Treasury Department, and was once a Republican candidate for governor of California. Clinton, what part of “too-big-to-fail-too-big-to-exist” do you find objectionable and why? Also, why must we wait until you are president before you “will work to end conflicts of interest in government”? I know this may sound radical, but have you considered leading by example now? In my view, it is wrong to consider “foreign policy” views and priorities as though they’re somehow separate from “domestic policy” issues and priorities. Besides the intended and unintended human suffering of lives lost, injuries, and civilians fleeing war zones, wars cost a lot of money to prosecute and to properly care for decades for the wounded soldiers and their families (the Iraq War has cost trillions of dollars). Every dollar spent on war-making, is a dollar less to spend on education, healthcare, renewable energy, eldercare, etc., or to provide tax cuts to Americans falling behind in today’s economy. As Pope Francis often reminds, a nation’s budget is a moral statement of the nation’s priorities. A number of articles written by “progressives” and others have called Clinton a “hawk” or a “neocon” with respect to military and foreign policy. The most obvious example cited is her vote authorizing the Iraq War. In contrast, Sanders voted against authorization at a time when the majority of Americans supported invading Iraq. Unfortunately, all of Sanders’ publicly articulated reasons for voting against authorization came to pass. Clinton and Sanders had access to the same information prior to casting their votes, but Bernie’s judgment proved far superior. Clinton has since called her vote “a mistake.” It proved to be a colossal “mistake” by any measure, but she does deserve some credit for doing something few politicians ever do–admit a mistake. While we all make mistakes, in the political arena, voters should assess whether a politician has learned from past mistakes. Unfortunately, in my view, Clinton’s record since the Iraq “mistake” can only lead to one of two disturbing conclusions: 1) Hillary has not learned from the Iraq “mistake” or 2) the “mistake” was not really a “mistake.” I suggest that either explanation should disqualify her from being our Commander in Chief, as well as dispel any notion that she is “progressive” by any stretch on foreign policy matters. In an August 2014 article for the Washington Post titled “Everyone suddenly remembers that Hillary Clinton is a foreign policy hawk,” Paul Waldman writes that from her backing a bold escalation of the Afghanistan war, to pressing Obama to arm the Syrian rebels and later endorsing airstrikes against Assad, to backing intervention in Libya, to backing the expansion of lethal drone strikes, to refusing to place any blame on Israel for the Palestinian conflict, Hillary has consistently taken a militaristic/hawkish position as secretary of state. Let’s look at who appears to have Hillary’s ear on military and foreign policy matters. Hillary’s 2008 presidential campaign received more money from U.S. defense contractors than any other candidate, including Republican candidates. As noted elsewhere, the Clintons also have substantial ties to the fossil fuel industry, an industry that has had a prominent seat at the U.S. foreign policy shaping table for many decades. Rachel Maddow at MSNBC and others have proven that oil was the principal reason for our invasion of Iraq. But what about WMDs, removing a brutal dictator, and spreading democracy throughout the Middle East? Nope. Oil. How shocking! Clinton’s proud declaration during a nationally televised debate that she takes foreign policy advice from Henry Kissinger may have gone unnoticed by millennials, but for “progressives” who are old enough to remember the Nixon/Kissinger years, advice from Kissinger is downright frightening. Certainly not a badge of honor. Let’s take a walk down memory lane with the man whom supported the Iraq War and the late Christopher Hitchens called a war criminal in his detailed book titled The Trial of Henry Kissinger. It has been well documented that Former Secretary of State Kissinger has his fingerprints on a long list of slimy covert operations, rigged elections, and brutal dictatorships across the world, including but by no means limited to, brutal regimes and death squads in Chile, Argentina, Uruguay, Bolivia, Iran, and Greece. While it’s appropriate and often wise to seek advice from people with various perspectives, Hillary’s gleeful association with Kissinger has yet to be followed up with a name of a non-establishment progressive that might provide a counterbalance to Kissinger. There are reports that Hillary also receives foreign policy advice from the consulting firm Beacon Global Strategies, which appears to be comprised of former CIA and Defense Department officials and past Clinton aides. While BGS’s client list is somewhat unclear, there are reports that BGS also provides advice to defense contractors and the Rubio and Cruz presidential campaigns. Put me in the highly skeptical column on whether BGS is providing an effective counterbalance to the Kissinger worldview. Unfortunately, the horrific situation in Honduras suggests that Clinton has been an astute student of the Kissinger worldview. In a June 2015 article in salon.com, writer Matthew Pulver chronicles how Hillary’s fingerprints are all over the 2009 military coup in Honduras that ousted democratically elected President Zelaya. As is often the case with Clinton, the Honduran case involves a web of longtime Clinton family aides and financial ties to business interests. Since the coup, the country’s oligarchs have prospered while 65 percent of the population lives in poverty and tens of thousands of Hondurans are fleeing the country because of rampant violence. The country has the highest murder rate in the world. In public comments, Hillary suggests that drug trafficking is to blame for the mass violence in Honduras. While drug trafficking appears to be a problem, it is also the case that crime spiked following the 2009 coup and that various international groups attribute much of the violence to waves of oppression by the police and military, including murders and kidnappings of journalists, academics, and civil rights activists. Clinton has often argued for, rather than against, increases in military spending. While most Democrats were outraged in 2007 over George W. Bush’s increase in military spending, Clinton argued that more military spending was needed. She also fought to restore funding for the few weapon systems that Bush did agree to cut during budget negotiations. In 1994, President Clinton codified the Cuban embargo. In 2000, when she was running for Senate, and in 2008, when she was running for the Democratic nomination, Clinton was a staunch supporter of the embargo. In July 2015, Clinton announced in South Florida that if elected president, she will put an end to the embargo. For years, Bernie has advocated for lifting the embargo. In 1991, almost 90 percent of Cuban-Americans supported the embargo, but now only about 40 percent support the embargo. Are you feeling at all confident that Hillary has learned from her Iraq War “mistake”? Many of us are also disgusted with do-whatever-it-takes-to-win politics, often rationalized as the ends justify the means in a battle of good versus evil. We are told that politics is a rough and tumble sport and if you want to win you’re going to have to get dirty. The Clinton campaign uses this as an argument for why Democrats should nominate Clinton. The narrative goes something like, Clinton has had a lot of dirt thrown her way over the years, but she has proven she can bounce back and “fight.” I suggest that “fight” is a euphemism for a willingness to get as sleazy as needed. Of course Sanders would not know how engage in such a fight and he would buckle once the Republican dirt is thrown at him. I’m amazed at how quickly many of us forget the sleazy things the Clinton campaign said and did in the 2007/2008 campaign against Obama. Some of these tactics are resurfacing in the current campaign. First, let’s take a walk down memory lane. Be careful, it’s slimy. Clinton even attacked Obama for having served on the board of the Chicago anti-poverty group known as Woods Fund at the same time as former Weather Underground member Bill Ayers. Ayers has never been convicted of a crime and is now a distinguished professor of education at the University of Illinois-Chicago. Ironically, the Clintons invited Rev. Wright to the White House as a spiritual advisor and it was President Clinton who pardoned Ayers’ wife and a fellow Weather Underground activist. The Washington Post and other news sources have reported that evidence proves the whole Obama birther kerfuffle originated in the Clinton campaign. It began to take root with a now public 2007 strategy memo from Clinton campaign’s chief strategist Mark Penn. In the memo, Penn proposed “targeting Obama’s lack of American roots.” According to Penn’s memo, “His roots to basic American values and culture are at best limited. I cannot imagine America electing a president during a time of war who is not at his core fundamentally American in his thinking and his values.” Penn then goes on to suggest a number of tactics to drive this point home with voters, including advising Clinton to remind voters that she was “born in the middle of America.” While Penn cautioned against being too obvious, it didn’t stop Clinton and her zealous staff from going full frontal. There are many examples of how the troops carried out their orders, but here are few. Emails from her campaign and supporters questioned Obama’s birthplace and religion. Clinton staffers circulated a photo of Obama wearing a turban while on a trip to Africa. Clinton herself used a 60 Minutes interview to further stoke these lies. Clinton told Steve Kroft Obama is not a Muslim “as far as I know.” Obama’s campaign manager David Plouffe described the Clinton tactics “shameful, offensive fear-mongering.” Soon after, Clinton campaign manager Maggie Williams accused Obama of “trying to distract from the serious issues” of the campaign and being divisive. Obama had to spend much of the nomination and general campaigns stressing he is Christian and did not study at a madrassa. Penn’s strategy seemed to be working to perfection. During the first 45 minutes of a nationally-televised debate just prior to the Pennsylvania primary, not a single substantive policy issue was asked. Instead the focus was regarding Obama’s patriotism because of his failure to wear a flag lapel pin and similar efforts to portray him in a negative light. In just a few months, polls showed Obama’s negative ratings going from 8 percent to 42 percent. A mailing sent to New Hampshire residents claimed that Obama wasn’t really committed to abortion rights because he’d voted “present” on some abortion related legislative votes. New England Planned Parenthood’s Board Chair strongly refuted Clinton’s letter, pointing out that Obama had a 100 percent record on all the votes that really mattered. There were several unsuccessful attempts by Clinton surrogates to confuse voters into thinking that Obama wasn’t really against the Iraq War. The Clinton campaign and surrogates tried repeatedly to make “Obama’s early drug use” an issue in the campaign—despite his having addressed it directly and frankly in his book Dreams From My Father. FYI, he never claimed not to inhale. There were several instances where it appeared the Clinton campaign engaged in voter suppression tactics. One such attempt in Nevada was shut down by a judge. There were numerous credible reports that the Clinton campaign engaged in push polling during the campaign. Push polling is an underhanded attempt to influence or alter the view of voters under the guise of conducting a legitimate It’s usually done by framing the questions in a way that casts a favorable impression on the favored candidate and a negative impression on the opponent, often by distorting the opponent’s positions on issues. In this campaign, Clinton brought David Brock on board as a strategist. Brock is a well-known mudslinger in American politics. He once worked as an operative for right wing politicians and causes, but in recent years he has helped the Clintons and some other liberals. A spokesman for the Sander’s campaign described Brock as “one of the worst practitioners in the dark arts of dirty politics.” Brock is best known for a magazine article and book he wrote attacking Anita Hill’s character and raising doubts about the veracity of her accusations during the contentious Clarence Thomas nomination hearing. Hill was a distinguished African American professor. Nice hire, Clinton! Because Sanders’ Whiteness, Jewishness, and birthplace appear indisputable, these cards will be a bit trickier to play, but let’s see what’s happened so far. The thrust has been implying and overtly stating that Sanders is sexist and his supporters are largely sexist men. I will cover just one of the sexism cards played by team Clinton. Several weeks ago, it was widely reported that Sanders online supporters were largely a mob of crude, angry, young, sexist, males. These supporters were being dubbed “Bernie Bros.” Within hours, Clinton and her surrogates were using this handy pro-Clinton smear throughout the media outlets and applying it to anyone who spoke ill of Clinton. It was so widely covered that Sanders felt compelled to announce that he doesn’t condone crude, sexist statements and behavior. However, as time went on, the handy Bernie Bros narrative was proven to be a myth. First, the polls and the Iowa caucus showed that Sanders’ support extended well beyond young males. Second, Glen Greenwald and others starting doing some actual investigative reporting to determine the origins of this narrative. According to Greenwald, the Bernie Bros narrative began with a Mashable article “that cited a grand total of two examples, both from random, unknown internet users.” The first was a response to a Facebook post by Clinton supporter Senator Jeanne Shaheen from New Hamphsire. As Greenwald points out, it’s written by a woman, not a man, and while the woman uses the term “lying shitbag,” (not particularly unusual in online debates over politics) there was nothing remotely sexist in the response. The other example cited in the Mashable article and repeated by other media outlets originated from New Yorker TV critic (and Clinton supporter) Emily Nussbaum, who claims she was called a “psycho” by the “Feel the Bern crew.” Finally, the smoking gun that proves the Bernie Bro narrative is true! Nope. As Greenwald reports, it turns out the person who called her a “psycho” is a right-wing Tea Party supporter writing under a fake Twitter account – not remotely a Sanders supporter. In 2008, economist Paul Krugman (a Clinton supporter) used this same tactic on behalf of the Clinton campaign by claiming that Obama supporters were particularly venomous and cult-like. This time around, Krugman was one of the first high-profile Clinton supporters to spin the Bernie Bro myth. Media critic, Adam Johnson describes how team Clinton manufactured this scandal: 1) constantly assert BernieBro phenomenon based on a handful of cherry picked idiots; 2) have several big-name Clinton partisans and a few credulous journalists write about it (only one or two examples needed); 3) eventually Sanders camp says of course online harassment is bad; 4) use this as evidence that Sanders camp “admits it has a problem. When it works, you never have to talk about substance of any kind. Thank goodness there are still some real journalists that are not just political lapdogs. During the recent Nevada caucus, Clinton supporters were caught red-handed (on camera) changing from blue Hillary Clinton campaign shirts into red Clinton shirts that were nearly identical to the red shirts NNU members were wearing, in an apparent attempt to confuse voters. NNU is a very large nurse’s union that has thrown its support to Sanders. See health care discussion for classic half-truth and fear mongering tactics by the Clintons. There have been several reports of people being push polled in Nevada by Clinton operatives prior to the caucus. Clinton and her surrogates have also made a concerted effort to remind voters that Sanders is a socialist. Unfortunately for Clinton, red-baiting tactics aren’t nearly as effective as they once were, especially with voters too young to remember the cold war. It’s also a bit trickier to pull off when your target proudly wears that label on his sleeve, his “socialist” proposals are resonating with the public, and a billionaire, capitalist, Republican candidate has suggested that single payer makes some sense. My philosophical argument against do-whatever-it-takes-to win-politics is two-pronged. First, I don’t believe there are many legitimate situations where the ends (winning) justify the means. We generally agree that it’s wrong and unethical in sports, education, business, and in other facets of society. So why should politics be any different? Just because it has been that way and the pundits tell us it will always be that way “in the real world of politics”? This political path we’ve been on has led to widespread cynicism and distrust in government. Many people are turned off or tuned out of politics, which is unhealthy for a democracy. Second, we need to show our youth that we can have a vigorous debate on issues without fear mongering, personal attacks, misrepresenting opposing positions, misleading voters, dodging legitimate questions, or having to poll and focus group to determine a “position” on an issue. I’m dismayed by the number of Clinton supporters who cite experience and electability for supporting Clinton. Her campaign themes are clearly working. Please Democrats, do your homework! Penn’s PR firm Burson-Marsteller has provided assistance to Blackwater, Philip Morris, union-busting efforts, the Argentina military junta, and Union Carbide after the 1984 Bhopal disaster, as well as others.